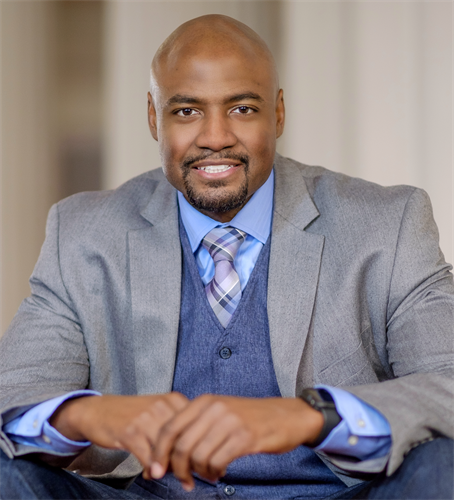 Keynote speaker, Ron Lewis with The RSL Group, is back by popular demand for two (2) keynote sessions on Friday, April 26 at the annual Kosciusko Human Resources Association (KHRA) conference. 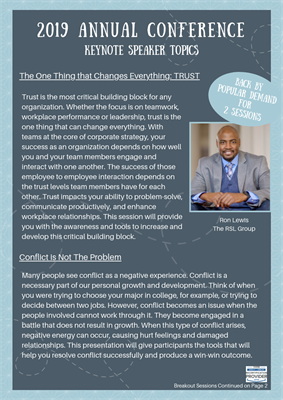 The topic sessions, “The One Thing that Changes Everything: TRUST” and “Conflict is Not the Problem”, will provide you with the awareness and tools to increase and develop this critical building block and help you resolve conflict successfully to produce a win-win outcome. Ron and his identical twin brother Dr. Rodney Lewis are co-founders of the Lewis Influence and recently published their first book, entitled “GRITTY: A Book for First-Generation College Students”. He continues to teach and has taught several undergraduate and graduate collegiate courses, including Introduction to Business, Managing Human Resources, Professional Development, Leading Change Management, Organizational Development and Culture and Public Speaking. He is a dynamic educator with experience speaking to students and professionals on the topic of G.R.I.T. (Guts, Resilience, Intensity and Tenacity). He uses relatable principles accompanied by compassionate stories from his own experiences along with research through his doctoral education. Ron has delivered presentations about leadership, academic success and diversity. Ron has dedicated his professional career and personal life to inspiring, training, coaching and educating others. 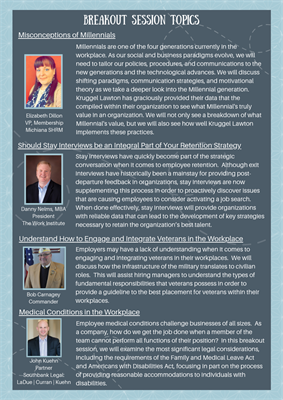 Throughout the day, additional speakers will present on topics such as “Misconceptions of Millennials”, “Should Stay Interviews be an Integral Part of Your Retention Strategy”, Understand How to Engage and Integrate Veterans in the Workplace”, and “Medical Conditions in the Workplace”. This conference is geared toward developing leadership skills of area business leaders and Human Resources (HR) professionals. 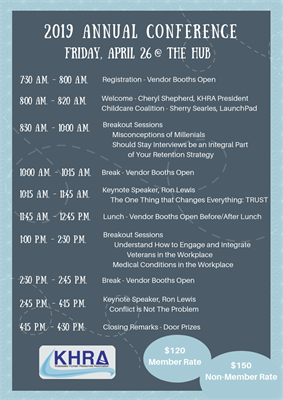 More information on sessions and speakers is available at khra.shrm.org. 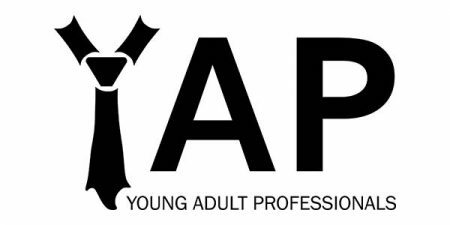 The one-day conference is located at The Hub in Winona Lake, IN on Friday, April 26 from 7:30 a.m. until 4:30 p.m. KHRA member registration fee is $120 and non-member registration fee is $150. Visit khra.shrm.org to register your company’s leaders by Friday, April 12.